Glasgow, UK is going to be a busy city Sunday night! In addition to the sold out performance of Calvin Harris and Tiesto at the city’s new Hydro venue, BBC Radio 1’s Pete Tong performs a late night slot at one of the city’s newest clubs, Kokomo. 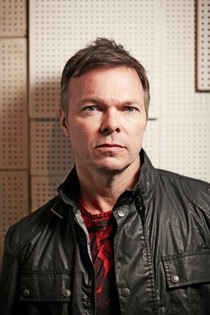 Dinnertime Presents Pete Tong at Kokomo also features support from Glasgow DJs Mash, Illyus and Woody. Pete Tong’s career mirrors the story of dance music over the last 25 years. The past 18 months has seen Radio 1 hold a special 12-hour takeover on the station celebrating Pete’s 20 years on their airwaves, he’s released various compilations and also performed at many great club nights and festivals. At the heart of all of this is Pete’s ability to push and nurture new talent. From Guti and Benoit to Maya Jane Coles and Deniz Kurtzel – there are few electronic artists who haven’t had the Pete Tong Push ™.